Surrey City Centre Presents Blow Out Prices for Urban Village Condos! University Real Estate – Everything Must Sell! Only 40 pre-sale City Centre Surrey Urban Village condos are available for purchase at basement bargain pricing. Priced below appraised value and starting from just $159,900, the Agenda at Urban Village and Element at Urban Village Surrey City Centre real estate development is the ultimate location in Surrey’s newest master planned neighbourhood. 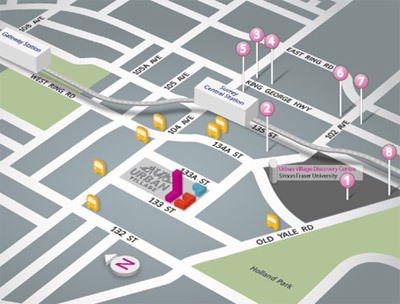 Adjacent to SkyTrain adnn SFU’s ever expanding campus, the Blow Out Prices won’t last long, so check out the Urban Village Surrey on site tours this weekend and just pick up your new home! With a full range of Agenda and Elements at Urban Village condo suites and Surrey City Centre townhomes for sale, closing and occupancy is expected for this Spring 2009. With exceptional investment cashflows and luxury finishes, just call 604.588.6999 or view www.urbanvillageliving.com for more information regarding these blow-out prices at the Surrey Urban Village City Centre condo development today. Brought to the market by Weststone Group. Please note that the images are from their marketing website. For more past marketing information about the Weststone Group Urban Village Surrey real estate development including the City Centre Surrey Ultra, Element and Agenda condos and townhomes for sale, please click here. A recent article by Susan B for the Vancouver New Home Buyers Guide talks about the amazing transformation of this Urban Village Surrey City Centre community and because of the recent growth in the city, BC has formally designated this amazing city as a Metropolitan Centre. 21st century modern living is now available at the new Surrey Urban Village condo and townhome development with city savvy and sophisticated homes and residences ready for occupancy coming this spring. With a great combination of location and style, the VP of sales and marketing, Bob, says that the Surrey City Centre is poised to becomeo on of North America’s most futuristic and sustainable downtown areas, a dowtnwon that’s renowned for its skyline, spectacular views, urban design, quality, arts, culture and green infrastructure. In addition, with the current low mortgage interest rates, now is a ripe time to purchase a new Surrey City Centre Urban Village condo or townhome for sale. With more than six hundred urban green parks and tonnes of recreational options at your front door in addition to lots of shopping, boutiques, big box retailers and the SkyTrain and Richmond Airport within reach, the pre-sale Surrey Urban Village City Centre real estate development is now turning heads as the first couple of phases are nearing completion. The Surrey City Centre plan was just releasd and the masterplanned community will have a new City, Central Library, Arts and Cultural Centre, Recreation Centre, multi-purpose exhibition space, and a forty nine storey office building, combining residential, retail and office space for a clearly urban community development. With the close proximity to SFU, this University real estate offering at the Urban Village Surrey City Centre condos and townhomes will be an amazing place to live and work. Also, the expansion of the City Centre Surrey plan will mean that your home investment will be a great choice both short and long term. Contemporary living spaces with angular kitchen cabinetry, astonishing functionality and the floorplans that are spacious and open concept are just some features here at the Surrey City Centre Urban Village condos for sale. More information about the new City Centre Surrey Agenda Townhomes for sale and Urban Village condos and town homes is located here. Currently, there are only a select few Urban Village condos and Surrey City Centre townhomes for sale in a variety of floorplans that range from studios plans around four hundred and fourteen square feet all the way to three bedroom spacious townhomes at 1418 square feet in size. With special pricing incentives right now at the Surrey Urban Village City Centre condos, and with the first two condo buildings complete this spring, please visit the Discovery Centre at the lobby level of Central City Mall between SFU Campus and City Centre Tower at 13450 – 102nd Street. Time’s running out if you want to purchase a brand new Surrey home for sale in this sophisticated, master planned community located in the heart of Surrey’s new City Centre and adjacent to SFU’s campus. Inside, these Urban Village City Centre homes for sale are clean, crisp and elegant with highly functional floorplans/layouts and sizzling contemporary style. The latest release of condos and townhomes at the Surrey Urban Village City Centre real estate development are priced from just $159,900 and there’s still a great selection of suites and townhomes – but not for much longer! The discovery centre for the City Centre Urban Village development is open mall hours in the lobby level of the Central City Mall between the SFU campus and City Centre Tower at 13450 – 102nd Street. For more information about the master planned City Centre Surrey Urban Village condominiums and townhomes for sale, please visit www.urbanvillageliving.com or call 604.588.6999. A new sophisticated and cleary urban way of condo living is now available at the master planned Urban Village Surrey City Centre real estate development that is now featuring Agenda condos for sale. With a Hardie Plank siding, brick, corrugated metal and wrought iron exterior, the Agenda condos at Urban Village master planned community is all about eye catching, clearly unique condominium residences that provides a central courtyard, and plenty of outdoor living spaces. With unique floor plans, the Urban Village Agenda Condos at Surrey City Centre real estate market place will feature some two level condos that provide the space and convenience of a bedroom upstairs, much like a typical townhome, but without the yard maintenance and a better price point starting just below the $300k mark. Functional floorplans, gourmet kitchens, dining rooms and foyers are some floorplan features at the pre-sale Surrey Agenda condos for sale at Urban Village City Centre as are full pantries in the kitchen, richly stained cabinets, soft touch drawers and high end appliances. The bedrooms here at the pre-sale Agenda Surrey condos at Urban Village real estate development will also feature great balconies and decks in addition to great amenities for homebuyers of these one to three bedroom Surrey City Centre condominium residences. The community features at the Urban Village Agenda Surrey condos for sale will include a two storey gym, separate yoga studio, lounge, media room, full party kitchen and boardroom for conferences and group meetings. With this master planned community coming into form and with the Urban Village nine acre site, the Agenda Surrey condos are clearly the best valued condo development in the area. From studio suites to two storey condominiums, the Agenda at Urban Village Surrey City Centre development features homes from just $169,900. The Urban Village Agenda condo presentation centre is located at 142 – 13450 -102nd Ave and on weekends in the show home on 133rd Street at 102 A Avenue in Surrey City Centre. These pre-construction Burke Mountain Sterling Homes for sale will be part of a single family house community with detached garages. The range in the floorplan sizes here at Sterling at the Foothills Coquitlam homes for sale range from 2428 square feet to 3238 square feet. These single family Burke Mountain homes for sale have unfinished basements and one of the Sterling floorplans has been borrowed from another Foothills community because of its popularity. This Coquitlam Sterling home floorplan is the Gillis which has three finished storeys of living space with four bedrooms and 3.5 bathrooms for a total of 2,416 square feet in size. The Calder floorplan at the Sterling Burke Mountain homes will have four beds and 2.5 baths in 1965 sq ft of living space. The third and final Coquitlam Burke Mountain Sterling floor plan is the Belair layout that has again three levels of living, 4 beds and 2.5 baths over 2065 sq ft. 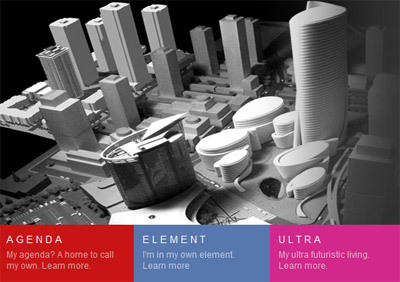 Initial floorplans have already been launched on the Morningstar Home website. All of these single family Coquitlam homes for sale will have gourmet kitchens with granite islands, and counters in addition to eco friendly hardwood flooring and carpeting. Other grand features at the Sterling at the Foothills single family Burke Mountain homes for sale include Kohler plumbing fixtures and spa like master ensuites. Q What will a single family home at Coquitlam Sterling at the Foothills cost? A: Unfortunately, pricing for the new Coquiltlam homes for sale at the Foothills Sterling neighbourhood will not be available until the homes are ready to sell. This ensures pre-consturction Coquitlam home prices are carefully calculated to current real estate market values and reflects the current housing values around the Burke Mountain Foothills communities. It also allows you the opportunity to “see” what you are buying with three fully furnished Burke Mountain Coquitlam show homes. Q When will the new Coquitlam homes at the Sterling at the Foothils of Burke Mountain be ready to move in? A: The first pre-construction Coquitlam homes for sale will be ready for occupancy in late summer. Q When will you opening the Sterling Coquitlam Homes at the Foothills of Burke Mountain? A: We will open to you, our pre-registrants of the Sterling Coquitlam home community at Burke Mountain real estate first … giving you the best selection and the opportunity take advantage of introductory pricing prior to the general public. We anticipate the grand opening of the Burke Mountain Sterling Coquitlam homes for sale to the general public in late June 2009. Q Can I choose a specific Sterling home at the Foothills Coquitlam on a specific lot? A: The Coquitlam Sterling at the Foothills Homes for Sale at Burke Mountain by Morningstar Homes Developers are pre-selected based on variables such as lot size, variety of product and architectural guidelines to ensure an aesthetically pleasing streetscape for the entire community. You first choose the Sterling Coquitlam house for sale you want and then we’ll show you which lots your favorite model is being built on. Q What do the new Coquitlam Sterling Burke Mountain homes look like? A: There are floorplans on the Morningstar Home website, www.morningstarhomes.bc.ca, have a look under Coming Soon – Sterling Community – Coquitlam Burke Mountain real estate. There are three floorplans to choose from here at the Foothills of Burke Mountain Sterling Coquitlam homes for sale, one with three finished floors and two with unfinished basements and direct outside access for your growing family. Sterling Coquitlam Home’s heritage inspired Foothills Burke Mountain homes give the appearance of a more established neighborhood, one that stands the test of time. We combine the best of traditional craftsmanship and styling with today’s most advanced and innovative construction technologies to give you the best of both worlds. Which one is your favorite? We welcome your comments and feedback so please let us know which one you like best. Click here to view the Sterling at the Foothills Burke Mountain website that has all the information you need to make an informd decision on your purchase at Sterling Coquitlam community by Morningstar Homes. Stay tuned, the next new Coquitlam homes for sale at Sterling Burke Mountain newsletter will have more information about these very special pre-construction Coquitlam homes for sale, with more details on spcificat ions & finishes and why we think you are going to love living in a new single family Coquiltam home for Sale at Sterling at the Foothills of Burke Mountain real estate. Our Sterling at the Foothills neighborhood is located just off of Coast Meridian Dr. and Victoria Street … across from Leigh Elementary. The new Sterling Coquitlam homes for sale by Morningstar in the Burke Mountain community are close to good schools, walking/hiking/biking trails and great shopping at the Coquitlam Town Centre. A great little neighborhood you will be happy to call home for generations! Why Build green? At Morningstar, we not only build attractive and affordable Coquitlam homes for sale at the Sterling at the Foothills masterplanned Burke Mountain community, we’ve gone much further. Our GreenStar program at the Sterling Coquitlam homes for sale means each Foothills Burke Mountain home is designed and built to embrace healthy living, promote energy savings and protect the environment. Our GreenStar homes at Burke Mountain Sterling community are, quite simply, built better. From energy saving, high-efficiency furnace and dishwasher to low off-gassing paint and flooring - and much more – Morningstar Sterling Coquitlam homes for sale will prove that homeowners can enjoy healthy living without compromising on style - or their budget. It’s really a no-brainer: beautiful comfortable Sterling homes at the Foothills Coquitlam real estate market that are healthier and more comfortable to live in, less expensive to operate and maintain, and more sensitive to the local environment. Click here for the Sterling Website. Ever wonder who creates the stunning custom in house colour schemes that you can choose from when purchasing your new pre-construction Morningstar Home here at the Sterling at the Foothills? We thought we'd take this opportunity to introduce our professional design team, Mae Suffron and Doris Wutzke, who work hard behind the scenes to bring you beautifully designed pre-construction Coquitlam homes for sale at the new Sterling Houses at the Foothills real estate market. This dynamic duo are truly unstoppable. With 40 years of combined experience and too many awards between them to count, Mae and Doris have been responsible for the interior design, decoration and functionality of Morningstar's Show Homes for the past 6 years. Mae and Doris are hired for their expertise in a variety of styles and approaches, not merely for their own personal vision here at the Morningstar Sterling at the Foothills Coquitlam real estate development. The three fully furnished Sterling at the Foothills Coquitlam show homes are currently being built at Sterling real estate development and will soon be ready to open. Each pre-construction Burke Mountain Sterling Coquitlam home for sale will have four bedrooms and will range from approximatley 3096 to 3200 square feet. The Burke Mountain Home Gillis Model home floorplan here at the pre-construction Coquitlam home community of The Foothills Sterling houses comes with three finished floors of living space while the Belair floor plan and Calder layout model comes with unfinished basements perfect for future family growth. Visit the pre-sale Coquitlam Sterling homes at the Foothills of Burke Mountain web site to see the models ahead of time at www.morningstarhomes.bc.ca. Let them know which one you like best (simply email back with your response) and you will be entered to win a Home Depot Gift Certificate worth $100.00. Meet your Sterling Burke Mountain Homes sales team: Arietta, Sales Manager at the Foothills Coquitlam real estate development, has been in the property sales market for the past 17 years in the Lower Mainland. Lacy-Lee, Sales Assistant for Sterling at the Foothills Coquitlam homes for sale, has been with Morningstar Homes for the past year. Stay tuned as the Morningstar Homes real estate developers will be sending you more information very soon about upcoming opening events for the pre-construction Coquitlam homes for sale at the Sterling at the Foothills master planned community at Burke Mountain. Morningstar Homes Sells Out of ALL Available Coquitlam Sterling Homes for Sale in 2 Days! 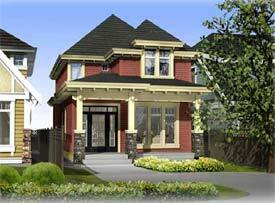 Sterling Coquitlam homes for sale is a three model new home project and very much a married with children prospect. With front porches, yards and a convenient location close to schools and local services, the new Coquitlam homes for sale are definitely a great development that is selling out quickly. Located in East Coquitlam at Coast Meridian and Victoria Drive, the Sterling Morningstar Homes for sale feature forty detached residences that range from 2416 to 3185 square footage. The floor plans layouts here at the pre-sale Coquitlam Sterling homes for sale will feature three and four bedroom detached homes and 2.5 to 3.5 bathrooms. Located at 3412 Wilke Avenue, the prices for the pre-construction Coquitlam homes at Sterling Living will range from $579,900 plus GST. The exterior design of these classic Coquitlam homes is by Ray Bonter for Fred Sales and the Creative Design Works are the interior designers. The expected completion date for the Sterling Coquitlam homes for sale is later in the fall 2009. All of the eleven Phase 1 homes here at the pre-construction sales event by Morningstar Homes were snatched up within two days of the launch, which is unprecedented in this new construction presale home market. Within a quiet and well established East Coquitlam real estate neighbourhood, the Morningstar Sterling Homes is solid and is definitely family oriented. All the Sterling homes are four bedroom residences and the interior features will include granite in the kitchens and islands, art niches above living room fireplaces and heavy wooden mantle or shelves to the side of the fireplaces are all standard finishing detail included with your new Coquitlam home purchase. The Belair, Gillis and Calder floor plans provides options for families wishing to move here and the Belair and Calder have unfinished basements that are suitable for secondary suites if you need a mortgage helper. The Gillis model here at the Morningstar Coquitlam Sterling homes are finished. The rear of the Sterling Coquitlam homes have detached double garages and the lots are fully landscaped.